The three star Hotel Sport is located 20km to the north of Prague, in the town of Kralupy nad Vltavou in Central Bohemia. 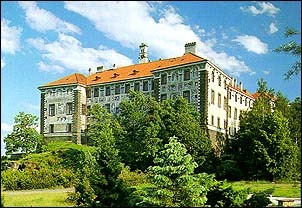 Kralupy also lies near the Prague-Teplice-Dresden-Berlin motorway. The international airport Prague-Ruzyne is 20 km away. The Hotel has a capacity of 320 beds, and is a modern building, air-conditioned, with fire-protection facilities, lifts and central heating. 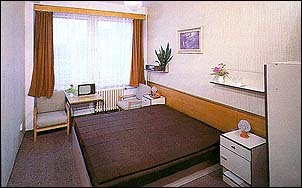 The rooms are equipped to European level, all with sanitary facilities (shower, toilet), radio, telephone. 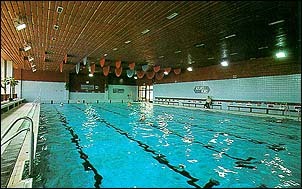 The rooms in the main building have TV sets with satellite reception. 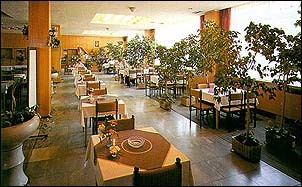 Restaurant and café with pleasant atmosphere amid flowers, with soft music, daily choice of 50 dishes and various beverages, large choice of a la minute dishes. The restaurant is open 7 a.m. - midnight., and the café 8 p.m. - 2 a.m. We can serve up to four coache loads at once. 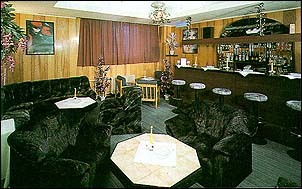 Wine bar and night club (10p.m. - 5a.m. ), music, disco dancing, saloons for private parties. Very close to the Hotel (adjacent building) are an indoor swimming pool (25m), children's pool, sauna, gym - with massage parlour, multi-purpose sports hall (50x25m). In summer an outdoor swimming pool complex (3 pools) is available, as well as lawn tennis courts (10 courts) - at about 600m from the hotel. 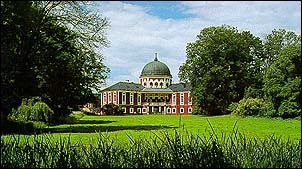 Mansion with picture gallery, birthplace of the composer Antonin Dvorak Baroque mansion with large park and fallow deer reserve.